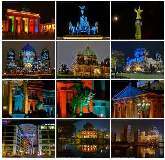 During the 14th Berlin Festival of Lights all run-enthusiastic Berliner and Berlin visitors are welcome to explore the illuminated German capital at nice conversational pace. We offer guided light-seeing running tours to introduce the spectacularly illuminated cultural arena of Berlin's historic center to you on 3 evenings per festival week. Pulse watches and competition spirits are left at home. Light-SightRunning is solely seen as an event for fun combined with a sportive note. Start and finishing line is set at the Brandenburg Gate. The roughly 10 kilometer long running tour will take you for about 1,5 hours alongside a light bond of illuminated buildings. 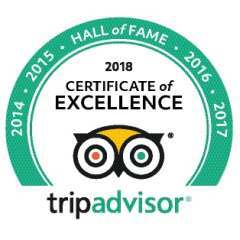 Reichstag building, Museum Island, Berlin Cathedral, Fernsehturm, Nikolaiviertel, Humboldt Universtiy, Bebelplatz, Gendarmenmarkt , the splendor boulevard Unter den Linden and Potsdamer Platz, Leipziger Platz amongst other, are destinations of this tour. At the outstanding illuminations we stop briefly for photos. 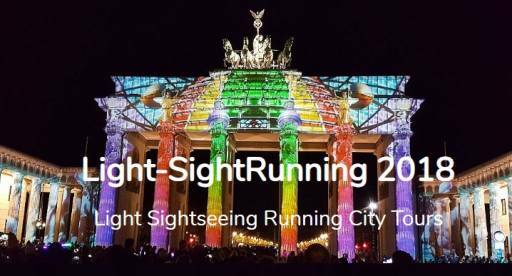 Experience the Festival of Lights 2018 with a Light-SightRun ... a special occasion.